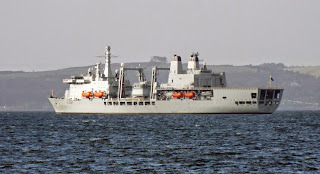 RFA Fort Victoria (A387) inbound for Faslane 27 January 2015. 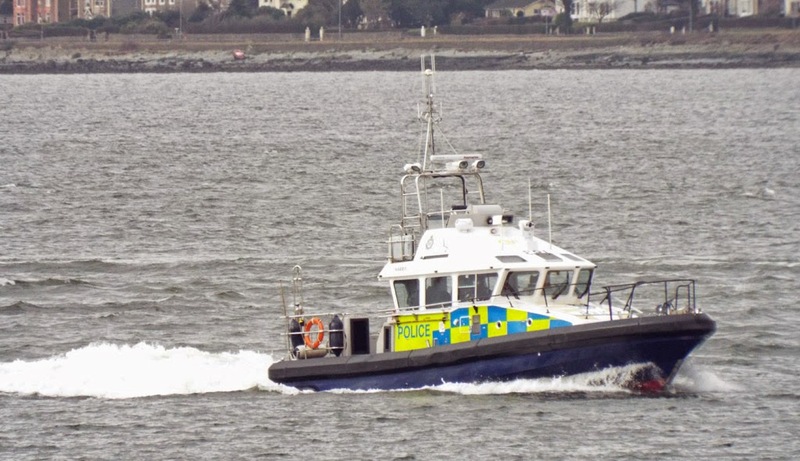 MOD police launch Harris provides security for Fort Victoria's Clyde movement 27 January 2015. 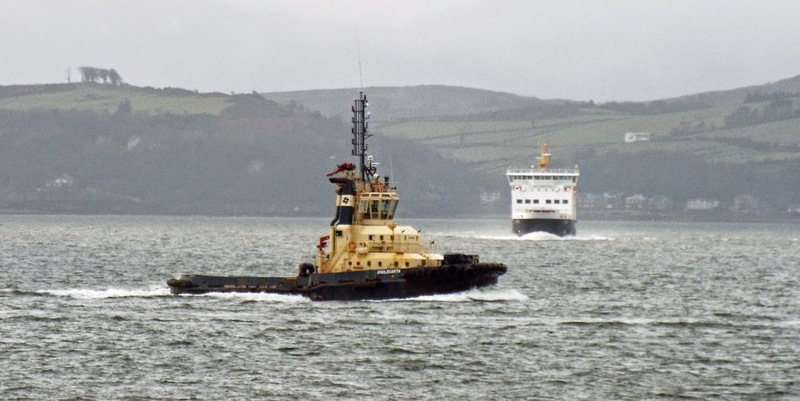 Serco tug SD Resourceful shepherds Fort Victoria inbound for Faslane 27 January 2015. 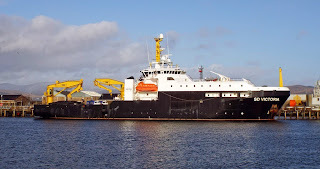 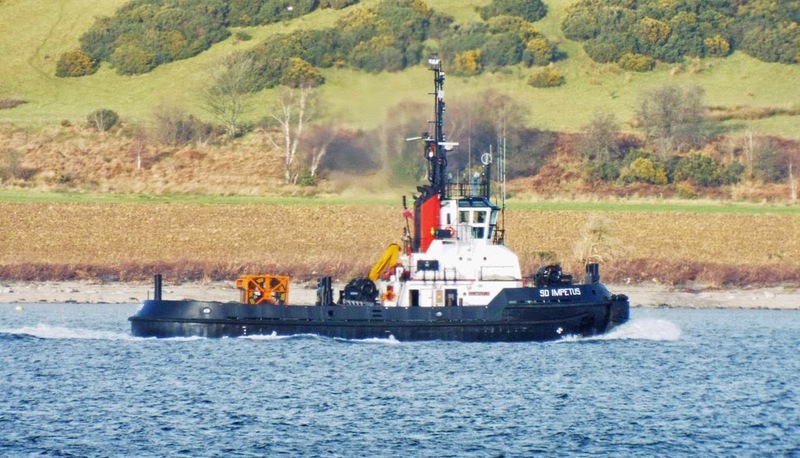 Serco tug SD Dependable provides the brake for Fort Victoria 27 January 2015. 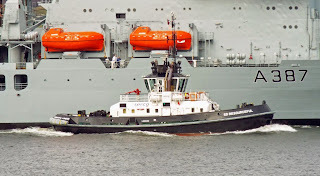 Sercoe tug SD Reliable approaching Fort Victoria 27 January 2015. 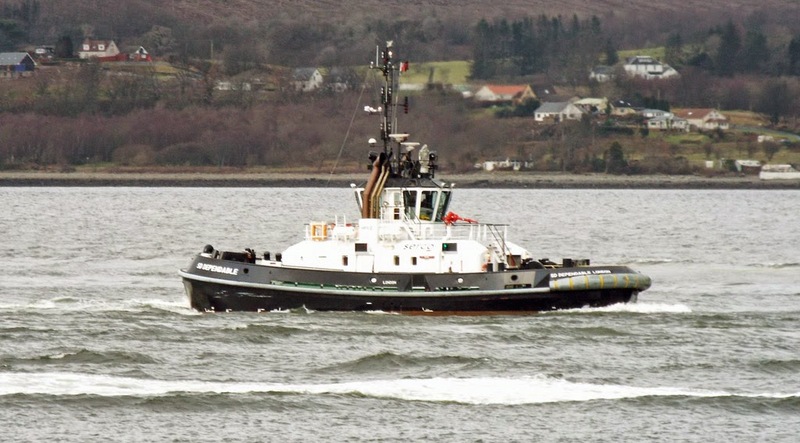 Svitzer tug Svitzer Milford returns to Greenock following deployment at Hunterston 27 January 2015. 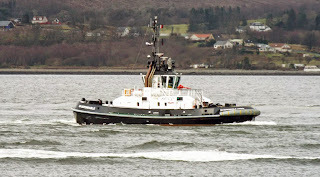 Clyde Marine's tug Bruiser returns to Greenock after employment at Hunterston 27 January 2015. 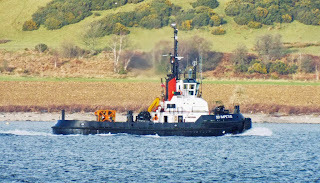 Svitzer tug Anglegarth returns to Greenock after docking Castillo de Valverde at Hunterston 27 January 2015. 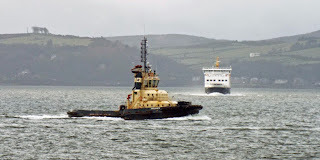 Caledonian Macbrayne's hybrid diesel electric ferry Lochinvar on service, Largs - Cumbrae, 27 January 2015. 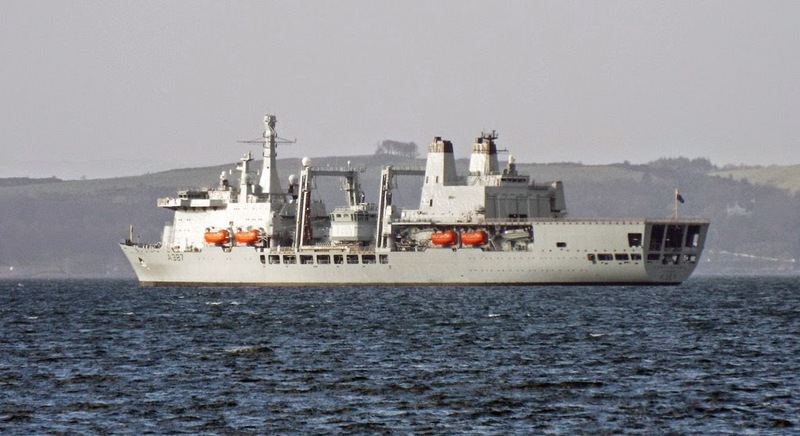 RFA Fort Victoria (A387) lies in the Clyde after leaving Loch Striven 24 January 2015. 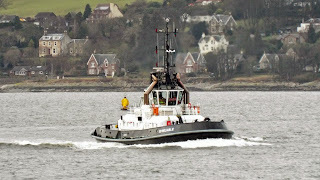 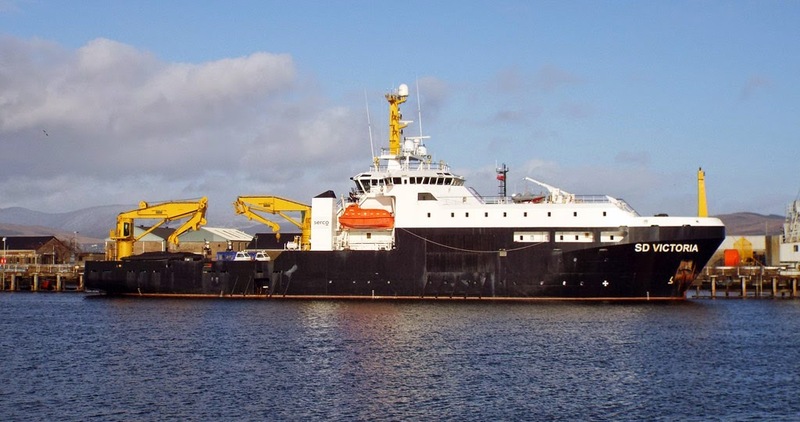 Serco tug SD Impetus returns to Faslane after moving Fort Victoria from Loch Striven 24 January 2015. Serco's "flagship" SD Victoria in Great Harbour 24 January 2015.